Steps are being taken to look into the draft Economic Community of West African States (ECOWAS) model mining and minerals development Act of with a view of validating its texts. To this end, a three-Day Workshop was held in Abuja on August 14, 2018 to create a harmonious and regulated environment for the overall sustainability of the mining sector in the region, among others. In his opening statement, the ECOWAS Commission’s Commissioner for Energy and Mines Mr Sediko Douka noted that the workshop “initiates the formal statutory process for the adoption of a Community Act on mining and mineral development”. He stressed that in the exertions of the delegates, the fundamental question to be answered bordered on whether the draft ECOWAS Model Mining and Minerals Development Act (EMMMDA) and its implementation strategy in substance, sufficiently captures the present aspiration towards developing the region’s mineral sector. Mr Douka noted that it is in line with the ECOWAS revised treaty spelling out the establishment of an inclusive regional strategy for the geo-extractive sector, that the ECOWAS Commission foresees the creation of an “inclusive and functional geo-extractive sector architecture which is well structured and untimely integrated for global competitiveness”. In the desire to have a harmonised regulatory environment in the medium term, the Commissioner spelt out the tasks on hand to include the development of a geo-extractive database and statistical information framework to guide the reporting of progress along the value chain of the sector as well as the establishment of a regional geo-extractive observatory and cadastre system as a one-stop repository of information on activities in the sector. Similarly, he said the efforts of the experts should be on how to sustain the ECOWAS Mining and Petroleum Forum (ECOMOF) for the sector’s inclusive development dialogue while formulating a trans-boundary geo-extractive development framework in the same breathe. Earlier in his welcome address, the national expert from Nigeria who chaired the session Mr Aminu Bature Mustapha described the EMMMDA as a beautiful document that has the potentials of moving the geo-extractive sector in the ECOWASA region to the next level. The workshop is featuring working sessions as well as presentations on and review of the draft EMMMDA. 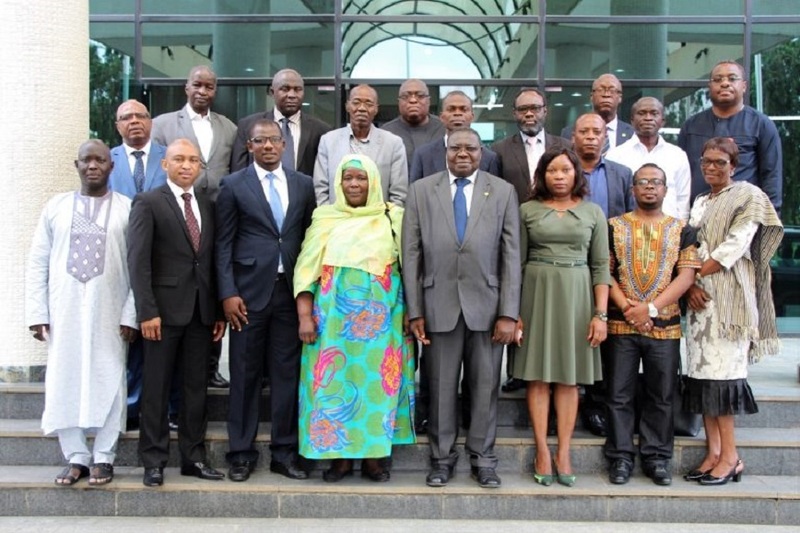 Already adopted is an ECOWAS Mineral Development Policy and its implementation which outlines some major activities to be undertaken by the Commission and Member States in order to develop the mineral sector in the region. The outcome of the experts’ Workshop stemming from the review of the EMMMDA will be forwarded with recommendations to the sector ministers for their consideration.